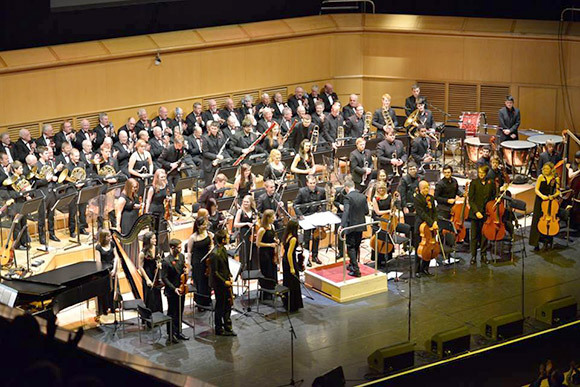 How many musicians are in your Glasgow Philharmonia orchestra? The orchestra differs from 20 members of a small chamber orchestra, up to 90 for big concert numbers. We also have a string quartet – for events plus we can also form jazz combos and other groups of all sizes from the possible instruments available. And for your quartet do you have a particular group every time, or decide on availability, skill, fairness..? The Quartet is set, but when they can’t do a gig then we swap them over. So everyone in the orchestra gets a chance. At the moment it is all the principles that are playing. Then we will start changing it if needs be. Does the orchestra cross all year groups? For the Quartet: 2nd and 3rd years mostly from the conservatoire. Orchestra is 16-25 year age group, a mix. Are the musicians all from the RCS or from outside as well? No, no, from all over Scotland, people who have played in other orchestras etc as well as from the conservatoire. How did you go about finding your orchestra? Originally, I started a fundraising orchestra. Which was formed by me putting out things on Facebook, by emails, to all the musicians that I’ve ever worked with. It’s grown from there, probably around 300 players that could come and play. So what was the charity you were raising money for? For Malawi, we raised about £1600 in the first gig. Which helped to build classroom blocks and teachers house in Ekwendeni in Malawi. 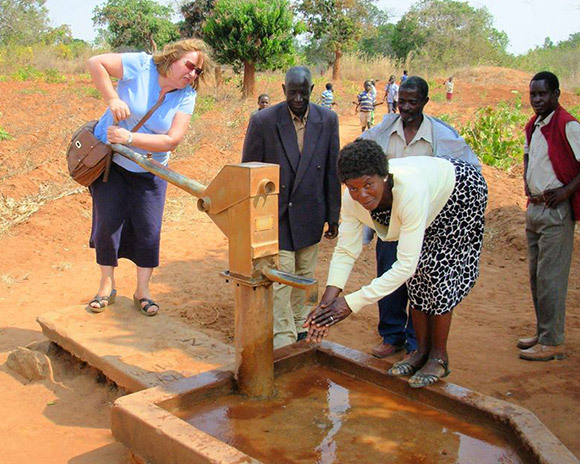 We then raised more money for Malawi and that built a bore hole in Baula. The nearest water you could find was a long distance away before our help, it was like a dirty puddle. The water hole is now called the Ross Gunning bore hole. Why the connection with Malawi? My mum went there a few times and she was in love with it and wanted him to help as much as I could. When was that in the scale of things? In 2012, May 2012 we officially started. But Glasgow Philharmonia was October 2012, with the first concert June 2013. There was quite a lot of forward planning. What was your main purpose? Initially for fund raising, but also to give myself the opportunity and experience of conducting on a big scale. It was successful so I wanted to make it a proper organization. Did you start this while you were a student here at RCS? Just before I started. The musicians were initially from the National Youth Orchestra of Scotland and the West of Scotland symphony orchestra and places all over as people started sharing on the internet, Facebook, emails etc. Not at the moment we have an interested party, it is just tying the connection. How did you organise it and meet? Martin Hunt is our PR guy and he is looking at corporate events to help us to find a sponsor. I met a potential sponsor and I have been liaising with Steve, our potential sponsor, to try to bring him on board. How did you meet Martin? We did a concert on 11th November 2013, and that’s where I met Martin as he was doing the PR for that event. We were the backing band of 60 players at that event. It was organized by the Armistice Charity Event we had 20 different pieces to learn at short notice about two weeks before the event. I conducted most of the event. A musical director from the West End helped out. It was put together last minute but this year we are far more organized. Everyone came back to me and said that was amazing can we do it again. For me to have control of this sort of event and get experience of these huge experiences is working well. Did you have a master plan of what you wanted to achieve. I wanted to give young people an opportunity to perform a concerto like I had done at City Halls with percussion, which was a huge thing for me. 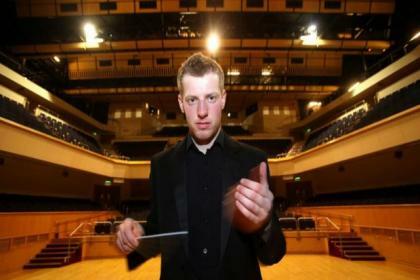 It was Rosauro vibraphone concerto, with the West of Scotland’s schools symphony – I had to win a concerto competition to get that opportunity – in March 2012. Part of that prize was one concert in June and two concerts in August. This is what kicked it off for me. We have three concerts planned this year with another one next year. I’ve done a lot of Musical Theatre and I want to move across to the Opera fields too. I just want to give all musicians a chance to perform. For young singers this opportunity is just not there so that sounds wonderful Ross. It’s very impressive and the video recordings sound really good. They’re not professional at the moment, it was just me setting up a camera, and I want to do that. What are your strengths Ross? Conducting for me is my passion. Doing the Music Theatre stuff is huge and great, then all the stuff in December that was really a great concert and everyone can come to see and know the material. I enjoyed the directing for bridge week a totally new thing for me. But conducting is definitely the area I want to specialize in. I’d like to take the orchestra to the Edinburgh Fringe. I’d like to do some diversity. If you think about all the orchestras in the UK they all do orchestral stuff, the only orchestra that does something different is John Wilson orchestra. To have something in the middle that everyone can be part of is going to help my musicianship. Supporting young musicians is my main aim and I’d like people to still come in to the orchestra but I want the musicians to grow within the Glasgow Philharmonia. The leaders may change, the principals may change but it just gives people a chance to move up. What do you love most about conducting? It’s creating that sound and to get musicians in a group and controlling a group of musicians and being in charge of getting your idea into reality, it’s a big thing. When I’m playing percussion I don’t like being told what sound to make. From a conducting point of view I have a score, a vision and a sound I want in my head and its creating that. When I was 13, the first time I was conducting, my legs were shaking when it came together to create the sound I wanted. That for me is the big thing! That was the first time I embraced a large ensemble. A James Bond medley was my first creation, with my local council, all school children, this started it. It was incredible. Being in control is just the thing for me. From a percussion point of view you’re always stuck at the back, there’s always jokes going on about percussionists. So conducting for me is the just the best thing. For percussion then do you prefer tuned instruments or un-tuned percussion? It differs, it depends what I’m doing, orchestral rep I love to get into a big meaty cymbal part, or something like that something that creates a texture that no one knows, there’s a bit in the third movement for me in the Vaughan Williams ‘London symphony’ where you hear rubbing cymbals together and no one has ever written that before. Vaughan Williams was the only person. To create the different texture with the rubbing together of the cymbals is great, that’s your own interpretation of it. 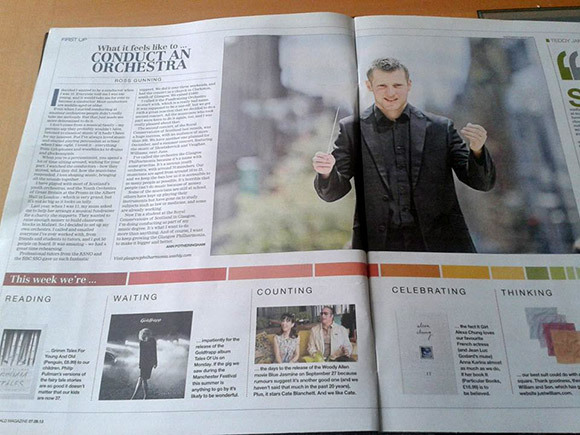 So if I want to come to see Ross the percussionist or the Glasgow Philharmonia symphony when is the next event ? Cool, I’ll get a ticket. I’m getting a chance to conduct the Vaughan Williams piece to create my own sound and vision. June 27th in St Cuthbert’s, Edinburgh, tickets from Usher Hall and June 29th in RCS you can get tickets in the RCS box office and they are already selling. What do you like least about conducting? Nothing. If you’re pressing me – maybe the time, if you have to pick something, you have to spend learning scores, so I have 15 scores to learn in two months at the moment. I’m sent scores and I have to find scores myself. A lot going on so I need good time management. I never stop learning about the history side, technical matters, musicality and I love the stress of it so I don’t find it really a problem at all. What tips would you give to someone thinking about taking up conducting? Do it, have your vision, but it is hard to start and there’s no one stood in front of you instructing you. It would be good to do a workshop but what would the musicians get out of it? It would be a great opportunity but people who have a vision and drive you can make it work, everything that happens is on you and it is quite a lonely lifestyle. If your orchestra doesn’t like you you’re in trouble. Be nice to people and be friendly because you need to create a good team environment. Originally it’s hard because the musicians are all the same age or sometimes older than me. But when they realized I was serious about it and I have a vision they realize with the gigs we’ve now got that it’s a showcase for them to demonstrate their skills. It’s all good cv material and it’s great to give people opportunities. My rehearsals are always open if you want to come in and watch. Do you think you will commission people to write music specifically for your orchestra? That’s funny you should ask that, next June I’ve commissioned a Scots composer called Peter Longworth, who is also a trumpet player and I’ve commissioned him to write a score for a string quartet concerto for the Astrid String quartet who are all made up of RCS students or ex-students. There’s no string quartet concerto’s out there, there’s one by Schonberg for audiences that aren’t in to music and the other one by Elgar but it’s not really suitable. I’m also working with a young musical theatre composer at the moment which is exciting. When I did my conducting exam recently I wore a really bright colorful dress and I sent my Mum a photograph and she asked me “shouldn’t conductors all wear black suits”! Ross and I discussed female conductors which should be another blog post and I asked Ross what he thought about whether conductors should all wear black suits. He just laughed, I don’t think he’s got any competition from me lol. 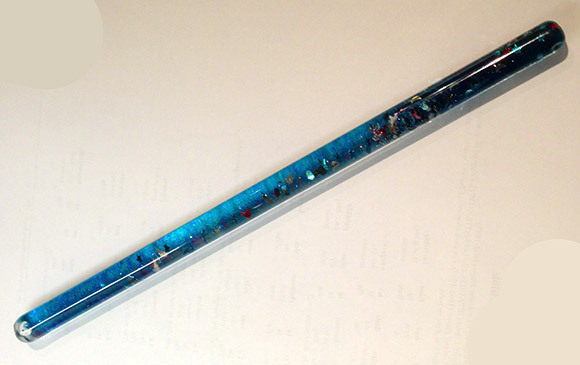 Although I have got a magic wand. Great, an other passionnate !!! Thake for sharing !! Hi Pascal, yes it is impressive what Ross has achieved. I did drop several hints about collaborating with me 😉 lol. I bet Rusalka would sound great with a symphony orchestra. Best not forget my flat mate Rob, he can actually make the sets 😉 and he’s voted twelve times for me which is quite a commitment from him because he’s so busy. In addition to your considerable music talents you are also an excellent interviewer/reporter/blogger/writer. I enjoyed reading this post — you were able to get a lot of interesting personal information from Mr. Ross and I learned plenty about his art and craft. I’m working on it by degrees. With the incredible Siberian weather we’ve been enduring (when it should be maple tree tapping season) I’ve been busy thawing things out and keeping vehicles running. We’re already two weeks late in a 6 to 8 week season so that will definitely shorten the crop. If the weather turns abnormally warm soon, with nights above freezing, then the season is over. We need freezing nights and thawing days through March for the sap to rise. I’d love to hear about female conductors too! Great interview. Love your wand! I’d love to see the musicians faces if I walked in with my wand he he. The glitter and stars move inside it so it would probably distract me never mind them. What an interesting interview this was Charlotte. Ross sounds like a very focused young man. good luck to you both in all your future concerts. One of the very best things about the RCS is the opportunity to co-create with students from other disciplines from production design, props, sound recording to contemporary performance practise and everything in between. That’s why I chose this conservatoire from my offers and I’m having a fabulous time. If the singing gig doesn’t work out, which it will, you may just have a career interviewing. Thanks Don that’s very generous of you, I do like talking and listening to people, I just wish my writing was better. Like making music, it just takes practice. Thank you for all the lovely comments and support you all give to young people. I hope you can support the orchestra and please follow us on twitter and Facebook to get up to date information. This interview was great and thank you so much Charlotte! You’re welcome Ross, I enjoyed recording and your answers. What a great interview Charlotte, although at the end I did a double take when you mentioned wearing a colorful dress, I was still thinking Ross! then I realised it was your bit. I should have guessed 🙂 sounds like a brilliant young man and one to watch I surmise. Gillyh1 I thought the exact same thing when I read it haha! Ha ha ha I hadn’t read it like that at all, I’ll put a little squiggle in or something. This was a fascinating interview, Charlotte. I love that he raised money for the borehole in Malawi at the same time as making music. He sounds like someone to watch, thank you for telling us about him in such a direct way. The fundraising part of the orchestra is a great feeling. Now just need to go out and see my bore hole in Malawi! I really appreciate all the support from everyone! The orchestra have a twitter @GlasgowPhil which I would love you all to follow for all up to date info. Also facebook.com/GlasgowPhilharmonia Thanks again! The classical world does a lot of fundraising for charity, most of the concerts and recitals I’ve performed in have been linked with charity fundraising which is fabulous and the audiences are so generous. It must feel great to be in a position to choose something that means a lot to you personally. I won’t forget that. Ross seems like a smart dude. There are some real gems of advice in this interview that give great insight into his mindset and how he works with groups of musicians. I’d be curious to know what he thinks of conductors now vs. the styles of the great conductors during the recording boom of the early 1900-1930s like Victor Herbert, etc. Thanks very much! I appreciate all the support. The orchestra has been amazing for me and the conducting is my passion and career! The conductors of today are great but may lack in historical knowledge that the likes of Karajan etc had at that time. I think the modern approach is great but we do miss the interpretation of older conductors some of them knowing the composers also! Hope this helps but be in touch as id love to talk more about it! You are a multi-sided talent,dear Charlotte ! Keep triumphantly going,my friend !!! Great work. Very impressive. What stood out to me the most is the “lonely” road he talked about. The spotlight always shines on the finished product, rarely on what it took to get there. Yeah I’ve had a bit of a lonely weekend, learning new scores, translating, cleaning! but I got to the cinema with my friend Chelsea last night to see ‘The Book Thief’ I really recommend it, you forget how powerful written words are. Indeed, totally agree with you. Sincere emotions are beautiful. I’m always excited for a good movie! 😀 Thanks. Beautiful job. Water is so important! 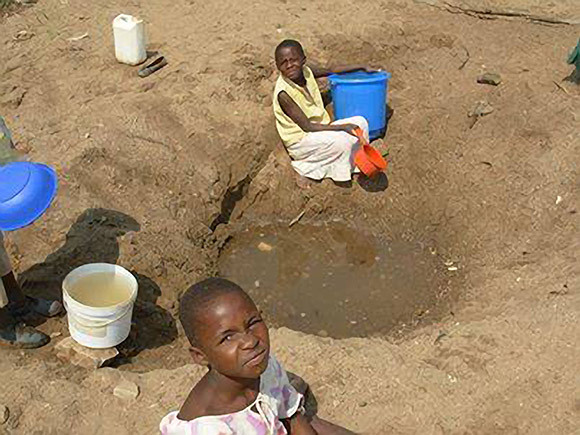 Oh it is very important, we take drinking fresh water from the tap in the UK very much for granted. We’re getting flooded out at the moment in many areas but come a dry spell and there’ll be hosepipe bans it’s a shame we can’t find more and better ways to store water in the South of England my Grandad in Kent is always have hosepipe bans most summers. Great interview from an insider! Thanks Evelen, I missed this message back in March. I’m putting together my interview I did with Andrew Hislop the radio presenter tonight, I love to discover people’s passions and what makes them who they are.